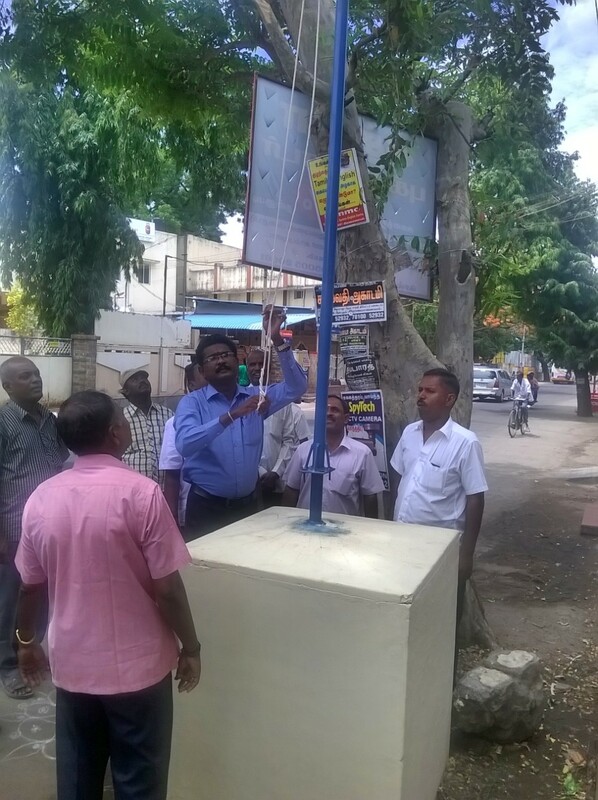 2016-07-24 ~ National Association of Postal Employees, Tirunelveli Division. ஜூலை வரை DA உயர்வு 3 சதவிகிதமா ? இல்லை 2 சதவிகிதமா ? அரசின் கையில். Consumer Price Index ஜூன் வரையிலான மாதத்திற்கு 2.91 % உயர்ந்துள்ளது. அதை மத்திய அரசு 3 % என அறிவிக்கலாம். செய்யுமா மோடி அரசு ? இல்லை 2% என அறிவிக்குமா ? The nationwide strike by public sector banks employees today figured in Rajya Sabha as the Opposition asked the government to respond to the demands raised by the bank unions.The nationwide strike by public sector banks employees today figured in Rajya Sabha as the Opposition asked the government to respond to the demands raised by the bank unions.Raising the issue during the Zero Hour, D Raja (CPI) said the banks unions are on strike to protest privatisation of public sector banks, non-recovery of bad loans and no action being taken against wilful defaulters.Raja said he has given a notice to discuss the issue. However, Deputy Chairman P J Kurien said the notice has not been admitted.T K Rangarajan (CPI-M) too raised the matter.Senior TMC member Sukhendu Sekhar Roy asked the government to respond to the demands of the bank unions, saying “it is a very sensitive issue and the government should respond.There was no response from the government side.Services at around 80,000 bank branches in the country were hit today as employees of public sector banks went on a one-day strike to protest the proposed merger of SBI associates with the parent bank and other issues. Private sector banks were working as usual.The United Forum of Banks Unions (UFBU), an umbrella organisation of nine bank employees’ and officers’ unions representing 8 lakh staffers, has gone ahead with the strike, affecting services like cheque clearances, cash deposit and withdrawal at branches and other facilities.Highlighting the problems being faced by students who take loans for studies, K K Ragesh (CPI-M) said SBI has sold its Rs 847 crore education loan NPA to Reliance Asset Reconstruction Company.The private company, he said, has to return only 45 per cent of the amount to SBI and that too over 15 years. He said the SBI should have given the same offer of long term repayment to students who had taken the loans.Raising the issue of drinking water scarcity in North Karnataka, K Rehman Khan (Congress) sought the intervention of Prime Minster to resolve the situation.Commerce and Industry Minister Nirmala Sitharaman said that on July 27, TMC member Roy had objected to a paper she was laying in the House even before going through its content.To this, Roy said “I tender my unconditional apology”, drawing applause from Deputy Chairman Kurien.Earlier as soon as the House met for the day, members condoled the death of renowned writer and social activist Mahasweta Devi. Chairman Hamid Ansari read out the condolence message. As per provisions of Section 139(1) of Income-tax Act 1961, Central Board of Direct Taxes extends the due date for filing returns of Income for Assessment Year 2016- 2017 from 31st July, 2016 to 5th July,2016 , in case of taxpayers throughout India who are liable to file their Income-tax by 31st July, 2016. This extension is given in order to avoid any inconvenience to the taxpayers while making payment of taxes pertaining to returns of income for Assessment Year 2016- 2017 by 31st July, 2016 due to reports of Bank strike on 29th July,2016(Friday) and 31st July,2016 (Sunday), being a Bank-Holiday . Our sincere thanks to our Chairman Postal Services Board Shri Shekhar Kumar Sinha for issuing CLARIFICATION on . Applicability of service Tax of Advance Deposit for Speed Post,Express and Business Parcel. The Centre will set up anomalies committees to examine individual, post and cadre-specific anomalies arising out of implementation of the recommendations of seventh Central Pay Commission. The Department of Personnel and Training (DoPT) has been authorized to take action regarding pay and related issues concerning officers of all India services--Indian Administrative Service (IAS), Indian Police Service (IPS) and Indian Forest Service (IFoS). "Anomalies committees will be set up by Department of Personnel and Training to examine individual, post-specific and cadre-specific anomalies arising out of implementation of the recommendations of the Commission," the Finance Ministry said in an order notifying implementation of the pay panel's recommendations. IAS officers presently get a two-year edge over other services for getting empanelled to come on deputation at the Center. "Regarding pay and related issues concerning All India Services, appropriate action will be taken by Department of Personnel and Training to give effect to the decisions on these matters as may be applicable to them," the latest order issued yesterday said. NEW DELHI: Non-performing Central government employees will not get annual increment if their performance is not up to the mark, the Centre has said. The benchmark for performance appraisal for promotion and financial up gradation has been enhanced to "very good" from "good" level, the finance ministry said in an order notifying implementation of Seventh Central Pay Commission's recommendations. The Modified Assured Career Progression (MACP) scheme will continue to be administered at 10, 20 and 30 years of service as before, the ministry said as it "accepted" the pay panel's recommendations. The recommendation of "withholding of annual increments in the case of those employees who are not able to meet the benchmark either for MACP or a regular promotion within the first 20 years of their service" has been "accepted", it said. The pay panel had in its report to the Centre said that there is a widespread perception that increments as well as upward movement in the hierarchy happen as a matter of course. "The perception is that grant of MACP, although subject to the employee attaining the laid down threshold of performance, is taken for granted. This commission believes that employees who do not meet the laid down performance criterion should not be allowed to earn future annual increments. திருநெல்வேலி கோட்டதலைவர் திரு.S.A. இராமசுப்பிரமணியன் சங்க கொடியை ஏற்றிவைத்தார் . கோட்ட செயலாளர் திரு காளிமுத்து ஆண்டறிக்கை சமர்பித்தார். Chennai General Post Office (GPO) is likely to be first post bank in the State to be launched early next year. The Department of Posts is planning to set up ‘India Post Payment Banks’ (IPPB) using the postal network to provide banking services to people. Aimed at providing access to banking services to people particularly in rural areas, the IPPB will provide a range of services, including direct benefit transfers and facilitate various payments like old age pension and government subsidies. The vast network of post offices would be used to eventually even deliver the payment at the doorstep of customers. Officials of the postal department said such post banks would function as separate entity and function according to the guidelines of Reserve Bank of India. Mervin Alexander, postmaster General (Chennai city region), said, “Payment banks will deal with money remittances of all kinds to people. This could be useful to people particularly in rural areas who have limited access to banks. But, it will not provide loans. 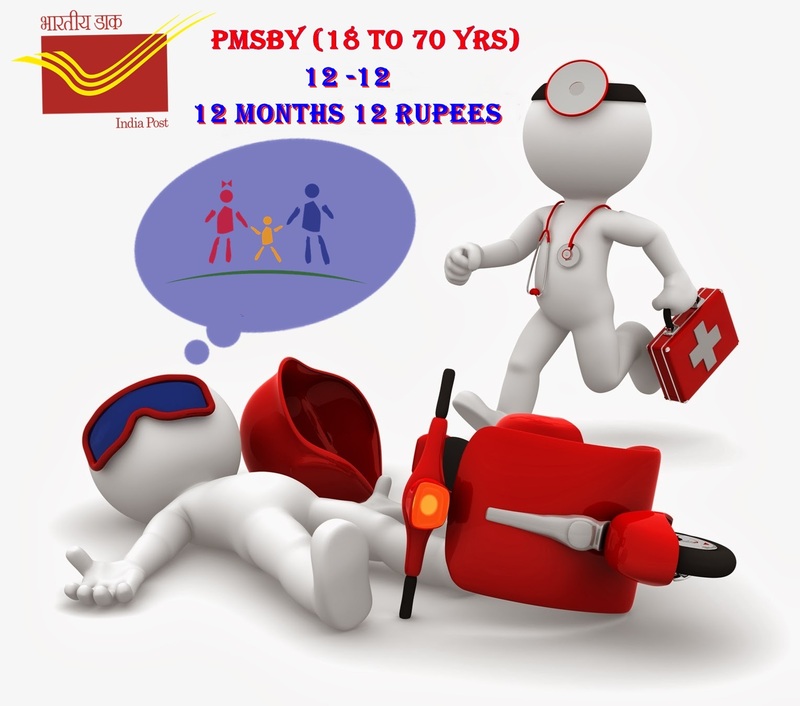 However, savings schemes and deposits will remain under post offices at this point of time.” Earlier, core banking network solutions and postal ATMs were started as part of an initiative to provide banking services at post offices. Net banking and mobile banking will be the next step towards reinventing the postal services according to the changing trend. The department has also announced a competition for logo design and tagline for the proposed IPPB. The tagline should not exceed eight words either in English or Hindi and the best entries will be awarded with a cash prize of Rs.25,000. The last date of submission is July 31. NEW DELHI: India Post Payments Bank, which is in a hurry to appoint a head, could get its first chief executive officer from the country’s largest lender State Bank of India (SBI). The bank’s board comprising the CEO, chairperson, besides government nominees and five independent directors is expected to be in place by September. India Post had written to top five government banks including SBI, Punjab National Bank and Bank of Baroda among others in identifying the chief. Sources said that SBI chairman Arundhati Bhattacharya has already responded and proposed a name. However, at a later stage, the payments bank is likely to have a search and select committee in place for the appointment of a CEO. “We are in a hurry to put everything in place as soon as possible, we sought suggestions from the top public sector banks to help us in finding a CEO,” SK Sinha, secretary, department of post, told HT. 7. The recommendations on Allowances (except Dearness Allowance) will be referred to a Committee comprising Finance Secretary and Secretary (Expenditure) as Chairman and Secretaries of Home Affairs, Defence, Health and Family Welfare, Personnel and Training, Posts and Chairman, Railway Board as Members.The Committee will submit its report within a period of four months. ANNEXURE I - PAY MATRIX. “vertical range” denoting “pay progression”. as laid down in Para 5.1.53 of the Report. average index as on 01.01.2016. NO REFERENCE FOR UPGRADED PRE REVISED SCALE TO POSTAL EMPLOYEES.